sustained, blissful drones, along with occasionally strange, complex overlapping loops. these are not made from animal skin). we now present an album that may be their best yet: Infinite In All Directions. Hi, this is great news. But one question before I place another Hypnos order : you said it would be possible to get a classic "back cover" as with the classic Hypnos releases... where can I enter those instructions ? And will the price be significally different ? We don't yet have that option worked out, so our customers don't yet have the ability to purchase any version but the simplified packaging. The design of the tray card (official name for the back cover, which goes inside the CD tray) is finished so very soon I'll make it available as a PDF download for those who wish to print it themselves. Those customers who wish to purchase a "classic style" package in a jewel case will need to wait a bit longer, and the price will be slightly higher too (otherwise everyone will just buy the plastic case version and it would defeat the whole purpose of this change). We lowered the price from the usual $12.99 to $10.99 for the simplified packaging and if somebody wants a version with the tray card and the jewel case we'll probably just charge the old $12.99 price for it. Sorry for the delay -- I just have to figure out how to implement the dual-format listing in our store. CAN'T WAIT TO HEAR THIS ALBUM!!! Incredible sounds, I am inspired to get hold of it. And I am happy for the new format ... Let us destroy the jewel case. No need to apologize for offering your impression, drone on. As for the paper, I think a few early copies were made with the paper we use for HSS releases, and normally these are supposed to use heavier "cover stock" paper, more like the cover of a paperback book, or the usual Hypnos CD booklet. We will mail you one of these "improved" booklets, and in fact if there are other people out there who receive one of these first few copies with the thinner paper (basically the ordinary kind of paper you'd find in a normal CD booklet, but thinner than the heavy stuff we use in Hypnos CDs) contact us and we'll mail you one of the other. As for the translucent paper envelope, well... I'll note your comment but we're going to give these a go, at least for now. I like the envelope, and I like the plastic-free concept. If we could have found a really nice plastic envelope without ugly seams along the outside edge, we might have gone that way, but most plastic sleeves we've been able to find have edge seams that look to me a bit like stitching and I really don't like them. I actually found a plastic sleeve I liked, on an old 12k label release but I was completely unable to find a source for the sleeves at any price. These had a "clean" edge, with the plastic folded over sharply and sealed on the back, more like a paper envelope. Anyway, impressions are welcome, not only of the music but the presentation. This packaging is a new thing for us, something I struggled with and worked on for a long time (hence the delay in all Hypnos releases earlier in 2009), but that doesn't mean I'm not open to hearing how people receive it, and possibly changing some things. 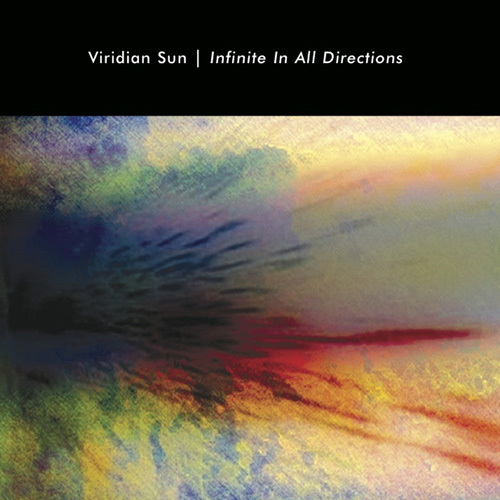 I am listening to the new Viridian Sun cd, "Infinite In All Directions", and I now think guitars in ambient music are cool! If a listener expects country twangs or shredding solos or similar sounds, these may not always be found on the cd, but what you can find are deep, meditative, immersive waves of sound that shimmer, pulse, and move about. I suppose some comparisons might be drawn-- the duo floats synchronously like Roach and Obmana, but it is more mobile and hopeful music than the aformentioned duo often made. An occasional guitar note sounds a little like the famous "singing" guitar of Robert Rich, but not enough to be an imitation. Sometimes I feel a little like I am listening to an early Zoviet France composition, but it's nice because the sound is better. And I like Zoviet France. Another positive to the album is that the tracks are quite varied, both in mood and composition. So you are not just buying into a redundant trip of some kind. Rather, there's lots to hear. You are going to want to listen. I would say that some of the tracks have a slightly industrial vibe. For me that is a plus. But if you want just New Age-y effluvia, some tracks might seem too deep or mysterious. Personally, I prefer industrial to New Age, but that's just me. A comparison that somes to mind is with Rapoon's excellent "Fires Of The Borderlands". Melodic, inspired, with lots of movement, but also a little dark and edgey. I would say that "Infinite In All Directions" is a really cool album and definitely worth picking up. I recommend it highly. Very kind review, mystified -- thanks! I'll pass it along to the other Viridian. Sure! Just being honest in my reflections. "Infinite In All Directions" is another fantastic cosmic space trip into the dark and unexplored regions--true "space music" in every sense of the phrase. Without synths this time, the sound is much more dense than the duo's debut "Solar Noise" (still one of the best Hypnos releases ever), but no less atmospheric. You gotta love guitars (which I do) and all the magical new sounds that can be coaxed out of them with delays and other processing goodies, to appreciate this music. I imagine this release is what may have resulted had Slowdive dropped the girl and the drummer, and decided not to make pop music anymore, but rather sit around their own bedrooms and make trippy soundscapes for their own personal enjoyment. There is that intimate vibe present on this recording. Music not for the casual listen, but immersive music that demands your full attention to appreciate every nuance of the sounscapes. One of the very best of 2009, and worth the 10-year wait. Thanks for the review, Drone On. I'm glad you ended up feeling the album lived up to expectations! Via email I received a really nice review of the album by former Hypnos member g.a.b. which I'll post here. And then I happened upon that magical Hypnos link purchasing A Produce's Smile on the Void. said world's limitations or edges... and finding them not. I've already earmarked 4 of the 7 tracks for upcoming mixes." "Although Hypnos may not seem to appear as prolific as they used to be, its always good to see their releases. M. Griffin, responsible for the label, doesn't set out to innovate the world of music, but has carved out a niche of his own, which he likes to explore, either through his own music or that of others. 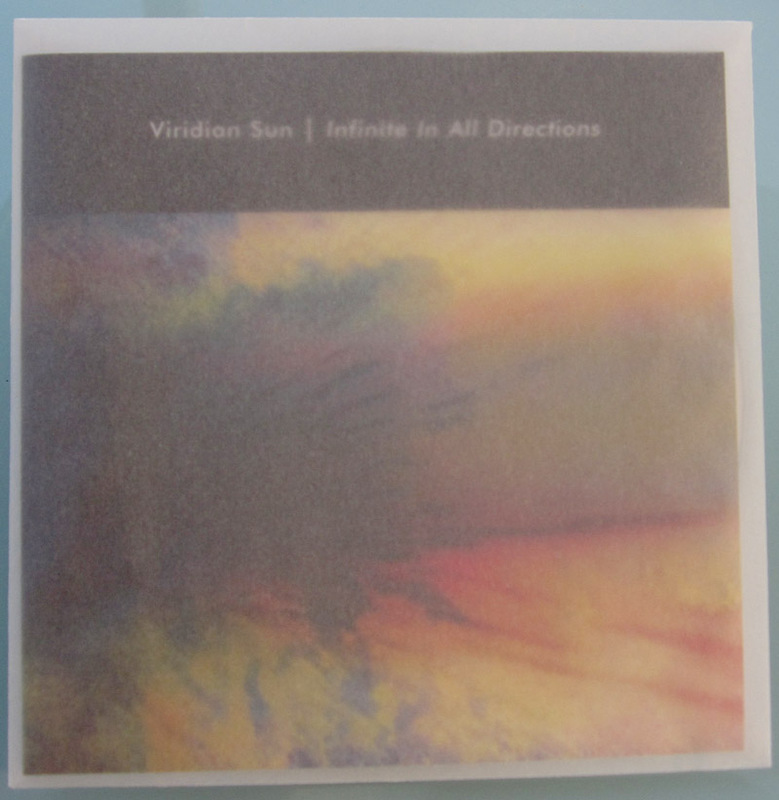 Together with David Tollefson he plays music as Viridian Sun. They both take credit for playing guitars, bass, percussion, looping, procession and Griffin also for voice. Not that I detected many voice on here, but no doubt one could say that for guitar, save for some obvious point here and there. Everything they play is transformed into lengthy washes of ambient sound. Like the title suggests about the universe, it can also be said of the music. It expands in all directions, moving slowly, elegantly forward - or backward, or downward, side ways, up, down - and perhaps all of it in the same time. Time? Another relative thing - although I am not educated to say such things that deal with nature, or in any philosophical ways. Seven tracks, clearly apart, perhaps that's the extent of these things that make them time based. According to the cover, this was all recorded live in the studio, which made me think that these boys should be on the road and play all night concerts, endlessly improvising and exploring the depths of the synthesized ambient music. Warm music in cold days." Has there been an update so far about the "classic style" packaging of the new viridian sun ? I'll bump this one. One idea to overcome the "dual-format listing in the store" would be to simply buy via email and simply pay via Paypal after confirmation. I'm planning a Hypnos store order and it would be grat if I could include the new Viridian Sun "classic style"
You're right -- we need to make a way for people like yourself who really want the new CDs but also want a jewel case and tray card, to get what they want. If you're ready to order now, go ahead and order through our store, and just order the regular Infinite In All Directions listing, but then Paypal an extra $2 to mg (at) hypnos.com and we'll send you the tray card and jewel case. Or if you prefer to pay by credit card instead of paypal, just email us after your order is placed and we'll adjust your credit card charge by the price difference and send you the version you want. Sorry about the delay. It's been difficult to find a simple way of keeping everyone happy!